Ambassador Matt Neely shares some helpful advice for open water newbies. 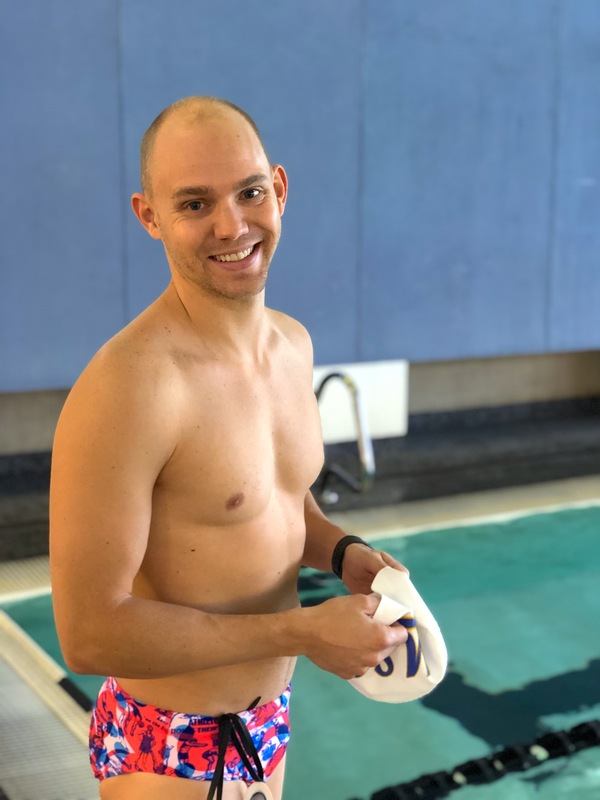 We’ve teamed up with Funky Trunks and MySwimPro Ambassador Matt Neely (@mattneely86) to hear his advice for making the transition between pool swimming and competing in open water races. Hi everyone! 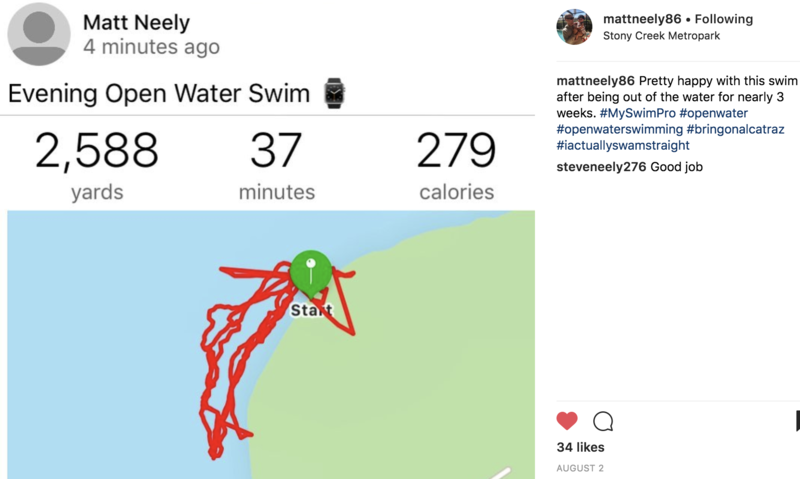 My name is Matt Neely and I’ve been swimming with MySwimPro for about a year. I’ve swam my whole life (club and collegiate) but took about 10 years off. I got back into swimming in 2017 and have loved racing in open water races, since. 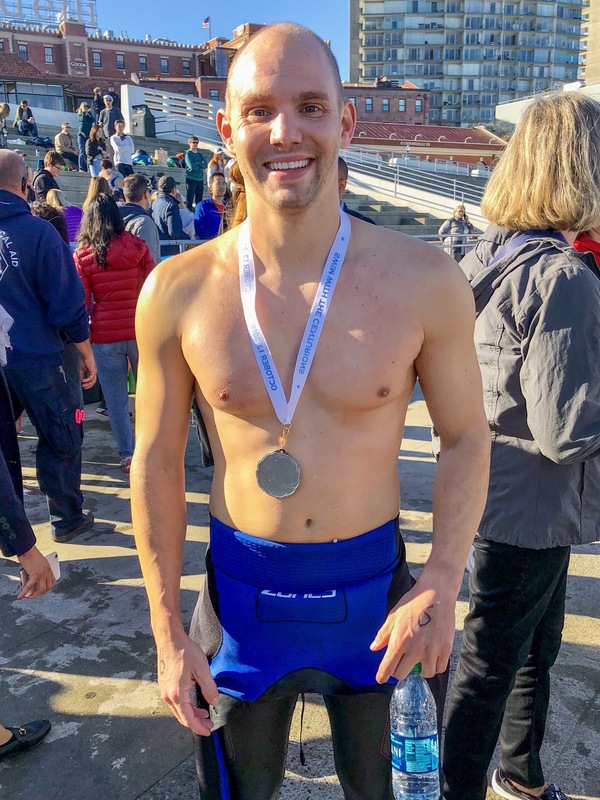 I recently just completed the 1.25 Mile Alcatraz Swim. 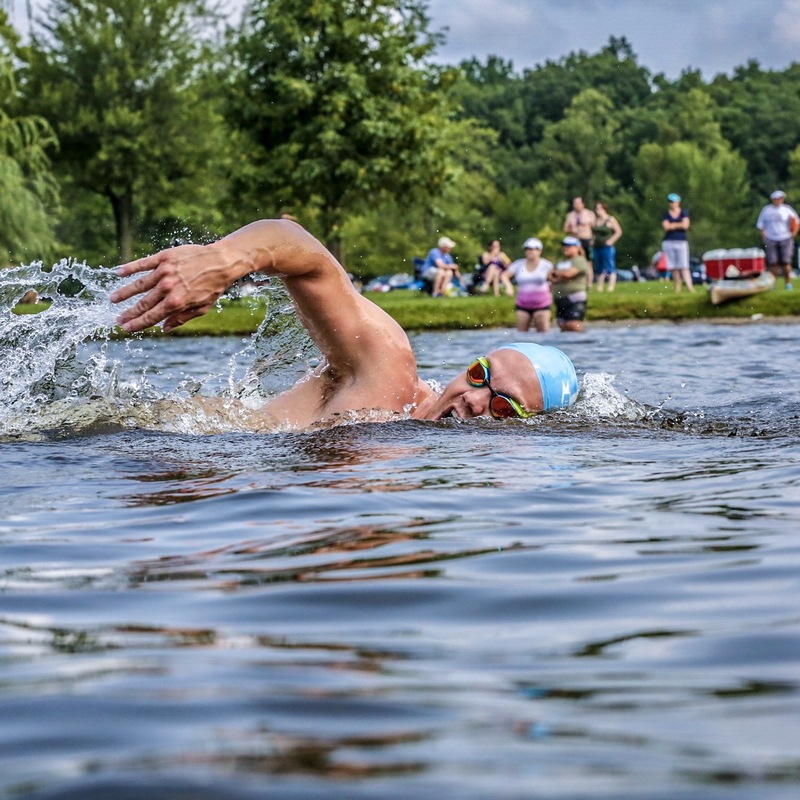 For someone who spent their entire swimming career following the black line on the bottom of a pool, the transition to open water swimming was a refreshing new take on the sport. It wasn’t, however, a change that initially felt natural after all of those hours spent training in the pool. I read a ton, learned many things the hard way and met some great people during my initial season of open water racing. The following are my key takeaways to ease the transition from the pool and make the most of open water racing. First and foremost, the majority of my training still took place in a pool. 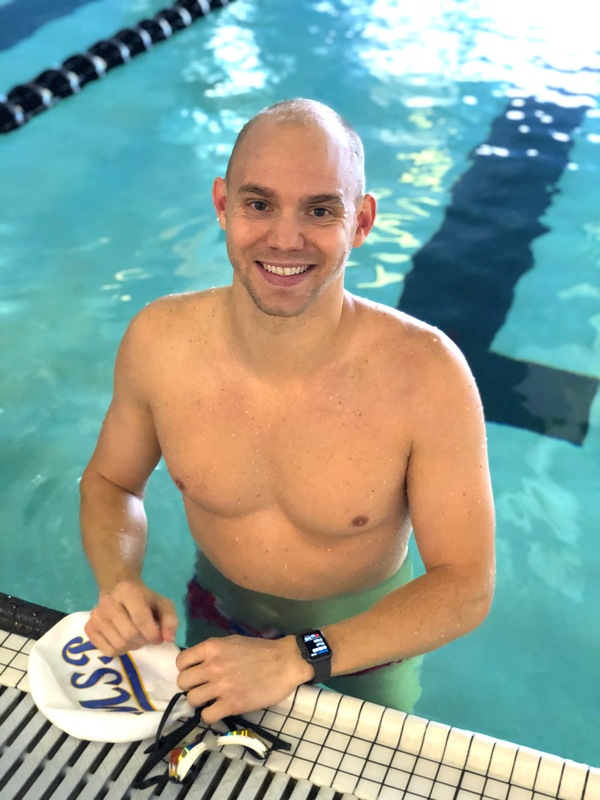 Living in Michigan, our open water season isn’t all that long, however, the ability to hold intervals in a pool greatly outweighs the opportunity to train in open water. 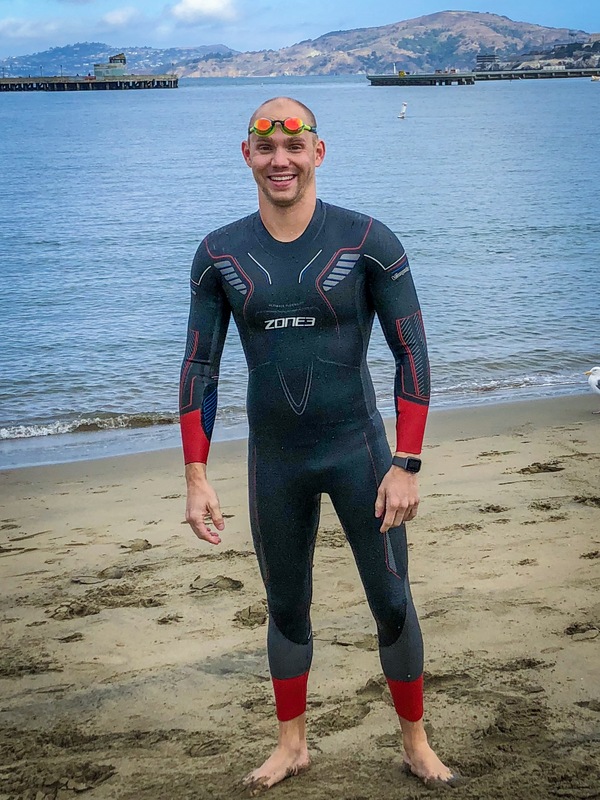 Once I had committed to an open water race season, I had to adjust my training plan as I was anything but a distance swimmer in my younger years. My focus became holding the same time repeated across many 100’s and 200’s. I wanted to get used to the feeling of holding an interval over a long period of time. As the long repeat main sets became more of the norm, I started adding some long 500-750 yard pull with paddles sets after my main set to tax the shoulders and replicate the feeling of the end of a distance race. Another key set I incorporated into my workouts was a series of 50-yard drill sets that included skulling on the way down and tarzan on the way back while wearing fins. The main goal was to mimic the body position required to spot while swimming in open water. Spotting is very unnatural for those who are used to pool swimming. This set was key early in my training to help get comfortable with the new body position required for open water swimming. As I built my endurance in the pool, and the Michigan winter took a hike, I began swimming in open water at least once per week. Some of the swims were to merely log yards outside of the pool. Other times I focused on swimming a specific distance straight without stopping. I found a local a triathlon club which gave me the opportunity to meet lots of other open water swimmers. It helped keep me accountable and gave me others to swim with to ensure safety. Another tip I picked up was to train in tough conditions. By all means, be safe and smart about what conditions you train in, but if it’s more choppy or windy than normal, yet still safe, embrace it. Those tougher training swims will help build confidence for any type of weather condition that may be present come race day. The first open water race will be rough – accept it. Even after you’ve trained and feel confident in open water, it’s very different from racing in a pool. My first open water race was in a river that had gotten two inches of rain the night before. It was cold and running extremely fast. The race director decided to send everyone off all at once which was daunting for a rookie like me. I panicked. I got kicked. I hated it. But I finished the race and learned a lot from it. Know the course map prior to the race. Even though most race directors do a pre-race briefing on the course, try to figure out the distance between buoys or landmarks before you get to the water. I used Google Maps several times leading up to a race to figure out different distances. This helped me know where I was during each part of a race and it helped me feel like I wasn’t just spinning my shoulders endlessly. It taught me to think about my race strategy and know when to push or when to back off and draft during the race. If the race is a flat start, position yourself on the outside of the pack at the start. If you’re really fast off the line, try starting on the far outside from the first buoy. You’ll have the easiest line, albeit, furthest distance to swim to get to the first buoy. If you’re not confident you can outrace others to the first buoy, take a line that’s closest to the first buoy yet still on the outside of the pack. It’ll be busier on that line, but it’s less swimming than from the far outside angle. Whatever you do, avoid the middle of the pack at the start – it’s a warzone. When I get to a race and am in that awkward time between the race check-in and the start, I try to look at all the surroundings and find key spotting markers. Look for big things like trees or houses that line up with different parts of your race. As most races are early in the day, try to figure out where the sun is going to be when you’re headed for the finish line as it’s usually in a different place from when you started. There’s nothing worse than being blinded by the sun and not being able to see where you’re swimming. It’s easy to get off course during a race. If you do find yourself off course (and you will), don’t be afraid to stop your stroke for a few seconds and get your bearings. Reorient yourself and head back to your next spotting marker. Use good polarized goggles (I like the Zone3 Volare goggles) and anti-fog drops or wipes in your goggles before the race. I didn’t learn this lesson until the end of my open water season last year. I dealt with foggy goggles and had to stop a few times during each race to clear the fog. When I did use anti-fog at the end of the season, I was amazed at how clear my goggles stayed during longer swims and how much easier spotting became. Never, ever, ever try something new on race day. Be it what you consume prior to the race to new equipment or a new race strategy, leave it for a training swim. When I swam Alcatraz, I had had issues with chaffing on my neck from my wetsuit leading up to the race. On the morning of the race, a fellow swimmer saw how chaffed my neck was from my training swims and offered a large waterproof pad to help protect my neck. It may seem inconsequential, but I’ve learned the hard way that simple things like that pad could potentially throw off my breathing rhythm. I kindly turned down the offer for the pad but did get the name brand of it and look forward to trying it with my wetsuit during a training swim. There is definitely a learning curve and transition period, but hopefully some of these tips will help make the move to competing in open water races easier. Happy swimming! Ready to take on 2019? Kick off your training with a new pair of Funky Trunks and MySwimPro ELITE. Use code NEELY20 to get 20% off. Some good pointers in your blog. I’ve been doing open water swimming for 15 years now, and have been through all those 6 points you talked about. I also know that if I don’t stick to my own pre-race routine you end up doing something you wouldn’t normally do like getting stuck in middle of the pack on the start line cause you weren’t quick enough! The one thing that sticks in my mind about my first few races is my recovery. After the first one I just crashed and slept for a couple of hours. This took a few races to decrease and finally stopped. It improved of course as I used the pool to increase endurance, while working on speed and technique. Then when the warmer weather arrives getting out into the sea and swimming there at least once a week as well. Now my recovery is very good! One thing that is important that you didn’t cover is doing a warm up before the race. I do this for several reasons; To of course warm up the body and get over that initial out-of-breath as you settle into your rhythm. I try and do at least 300-400m for this and include some sprint options to get the heart rate up too. Like 10 strokes fast and 10 slow and repeat 3 times.I use it to see whats happening in the water with the wind, currents/drift and waves etc. I also like to look at the makers/buoys at water level, as this is always different to how you see them from the land! I also like to check the line of the buoys, as they don’t always sit as you think the course is. The other, which you touched on as well, is to look for land makers that will help you with your siting of the markers as you swim. If you look up and can’t see the buoy, you can spot this better. Just because you can swim in a pool, you can’t go straight to open water and nail it! There is so much to learn about open water swimming. I’m still learning. But I am still swimming and having fun which is really what its about.